When you find a large beehive on your property, your first instinct might be to contact your local pest control expert. But think twice! Honey bees are not just pests that need to be removed. They are valuable assets that contribute to our ecosystem and our food supply. Live bee removal services are the best choice when you are faced with a bee problem in San Diego and San Diego County. Beehives, especially during the height of the summer, can be home to nearly 50,000 honey bees. For the most part, these bees don’t want any trouble. They will leave you alone, unless of course, you decide to mess with their hive and the queen that lives inside. Even so, it is critical that we protect the honey bee population by removing them safely and humanely. 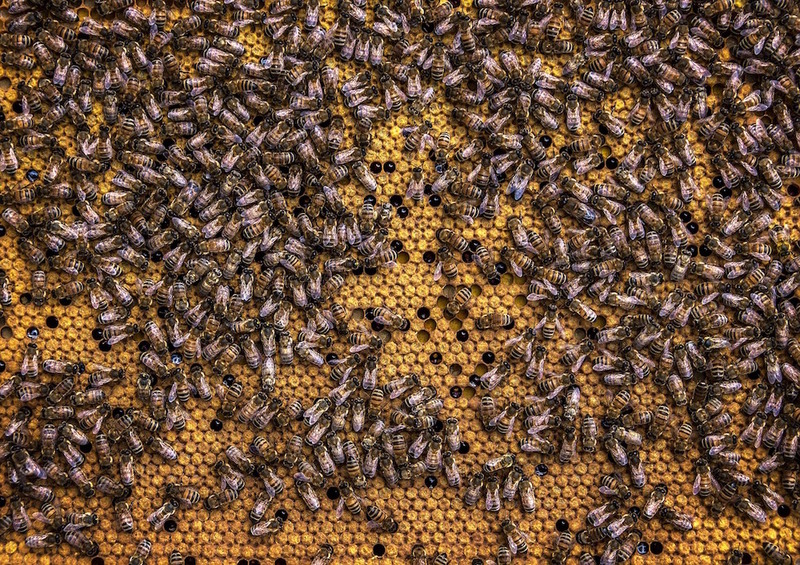 Due to colony collapse disorder, the number of honey bees has dwindled over the recent years. Do your part to protect them by hiring D-Tek Live Bee Removal! We’ve been in business for a while now, and we care about protecting the honey bees that we remove from homes and properties. That’s why we only use the most humane removal processes available. Not all of our competitors can say that. D-Tek Live Bee Removal stands above the rest because of our commitment to protecting bees and our highly skilled bee proofing and repair experts. We never use pesticides or harmful chemicals when removing bees for our customers. Not only do these pesticides kill precious bee populations, but they leave nasty chemicals on your home and in areas where your children play. After we remove the bees from your property, your bees are brought to one of our partner beekeepers. Our local beekeepers re-home your bees so they can continue to thrive and pollinate as they were meant to do. Why local beekeepers, you ask? We work only with local beekeepers in San Diego County, Orange County and Riverside County because it is critical in reducing the amount of travel time the bees experience. The longer they travel, the greater the chances that they become dehydrated and die. Some beekeepers will remove your bees but neglect to take important steps to ensure that new bees don’t return in their place. At D-Tek Live Bee Removal, we not only remove the bees from the hives, but we remove the honeycomb as well. This prevents other bees from sensing the old nest and returning to that location to create another home. We also use a special oil-based sealant to eliminate the pheromones that can attract new bees. Depending on the method of live bee removal we use for your situation, our team of highly skilled bee repair experts can repair roofs, stucco, siding and drywall. We give customers the peace of mind in knowing that their bee problem has been resolved and that their repair work is guaranteed. If you have some bees on your property, don’t contact a typical pest control company that uses nasty chemicals and pesticides. Protect the honey bee population by calling D-Tek Live Bee Removal. Our team will humanely remove your bees and re-home them with a local beekeeper. We can also skillfully repair your structure to ensure that new bees don’t reenter your property in the future. When you are ready for live bee removal, contact the experts at D-Tek Live Bee Removal today.